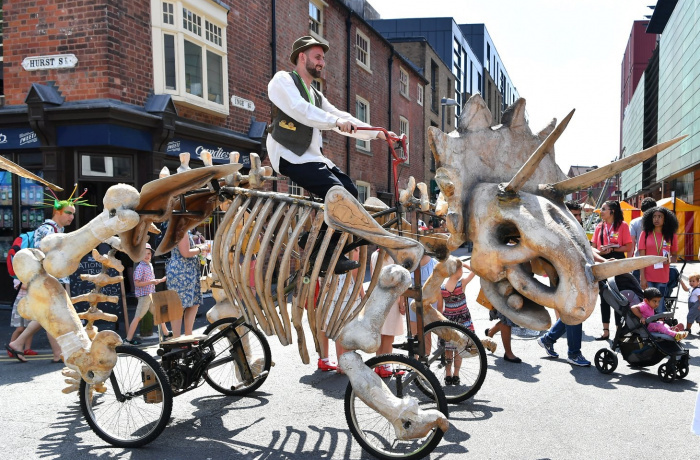 Dinosaurs never go out of fashion and Hilary our pedal-powered Triceratops is always a big favourite. She is able to traverse across grass, and can even be cycled around inside shopping centres. 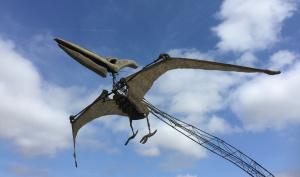 A fully-flapping mechanical Pterodactyl, Terry has cycle-power assisted movement, and soars over people's heads and swoops down on surprised audiences. 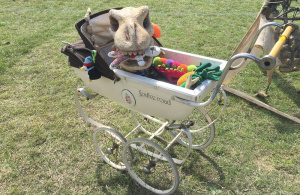 The newest member of our dinosaur family is an adorable animated baby T-Rex puppet in a pram, who is fond of throwing his toys around - children (and adults) love him! His head can be remotely manipuated by his 'minder' through a simple, but ingenious, mechanism via the handle.